From Mom & Pop stores and kiranawallas to opulent malls to shopping from the comfort of the living room sofa, Indian retail witnessed a lot of flux over the last decade or so. A lot of it has to do with evolving technology and the changing demographic of the average Indian shopper. With apps that let you shop from almost everywhere ( the Flipkart TV Ads are a brilliant demonstration of this), the thirty something urban professional could not have asked for more. No more worrying about dodging the work deadlines, facing traffic snarls, facing the endless queues at the billing counters. E-commerce firms are paving the way for you to spend quality time with the family. So do we ditch the existing brick and mortar stores ?? Hardly. For they have the credibility and the infrastructure to provide a holistic shopping experience. But they seldom offer the attractive pricing that one finds on the online shopping portals. In fact some of the smart ones among us have leveraged the pluses of each one and taken to trying out stuff for ourselves at the B&M outlets before purchasing them online at a discount. 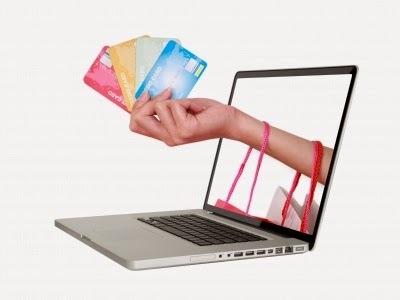 It is probably one of the reasons behind online entities reaching out to the customers in more than one ways. This is something that even the tech-savvy customer would appreciate especially when it comes to making a big ticket/high value purchase. And I can vouch for it even though I have been making online purchases ever since 2008. A sheer physical presence somewhat on the lines of the FabFurnish offline stores which are much smaller as compared to the regular furniture stores but allow the customer to touch and feel the product, helps to foster confidence and build the brand value in the long run. Another good example of providing the customer with a personalized experience would be the Chumbak kiosks. For the existing retail entities, a collaboration between the brick & mortar stores and the e-commerce portals that gives both the brands an omni-channel presence and allows each to leverage the existing capabilities of the other. A very good example of this is the strategic integration between Zopnow and Hypercity retail chain stores. For the uninitiated, Zopnow is an online grocery and consumer product goods retailer that operates only in Bangalore. But the move will now allow it to expand to other cities where Hypercity already has a presence. It also sorts out the cold storage issues ( for F&V) that Zopnow had been facing for sometime and effectively reduces the wastage for Hypercity. As a first hand customer of both entities, I am quite excited as I now get access to the whole range of fruits and vegetables, including the exotic/imported variety and cut vegetables from Hypercity delivered at my doorstep within 3 hours. It also gives me access to the delectable repository of cheese that one can only find at Hypercity. And being a food blogger, I cannot think of anything more exciting. Though the whole integration process is not seamless and I have faced a few issues while trying to place/modify an order, I am hoping that they can work it out over the next few months. Of course, I will keep visiting Hypercity at leisure and keep checking out their offline offerings. But it will not be a need based trip. Given the tangible advantages/benefits of having an offline presence, many e-tailers have taken to expanding the network of franchisee brick-and-mortar stores. Firstcry, Healthkart and Lenskart are noteworthy names which are going that extra mile to give the customers a real feel of the products before buying from them. Quite interestingly, a large number of these stores are located in Tier II cities where the customer is still a bit wary of online shopping. For those e-tailers who cannot have a physical footprint, offering a fixed/limited number of free trials is the way to go. For example Lenskart offers a trial for up to five frames before the customer has to choose one. Another option is enabling a ‘Virtual Trial Room’ which enables the customer to upload a picture of himself/herself and try on the clothes/make-up before making a purchase. Not to be left behind, Brick & Mortar retailers are also jumping into the online bandwagon. One of the interesting brands in this section has been Medplus (the pharmacy chain stores) which went the online route selling cosmetics and toiletries at Medplusbeauty.com. But they have now taken their pharmacy online. Check the site and you will find a lot of useful information like alternative medicines with the same composition, side effects, precautions, food restrictions, usage during pregnancy and a whole lot of medically relevant stuff. Definitely one of the most useful e-commerce that one can find. Either ways, the brands should look at providing the evolving customer a seamless experience. Even it means over-hauling the existing infrastructure to give the customer continued support and connect. It is the only way to ensure customer satisfaction and loyalty,which ultimately translate into higher sales figures. Note: In case you would like to get coupons of the websites mentioned in the blog post, you can go to 27coupons.com and search the same.